Located in Belleville, Ontario, just north of the 401 on Maitland Drive between HWY #62 and Sidney Street. Settler's Ridge is located directly across the road from Deerfield Park. 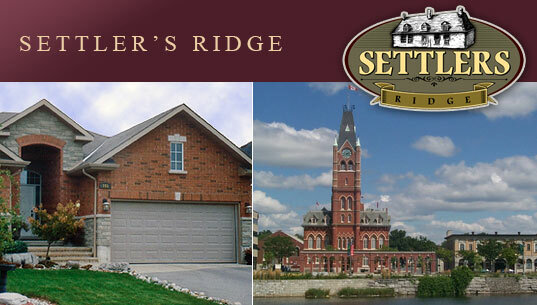 Settler’s Ridge is only 3 minutes to 401 and Quinte’s most extensive shopping, including the Quinte Mall.